Bio: Kit (Kennedy) Felton was born and raised in Elk Mountain, Wyoming and received her Bachelor’s degree in Music Education from the University of Wyoming in 1997. She accepted the position at Hanna Elementary and Medicine Bow K-12 school that fall and has been in these same schools and district for the past 21 years! She has also taught at her alma maters, Elk Mountain Elementary and HEM Jr/Sr High School. She has taught elementary general music, beginning band, Junior High Band, Choir, and Guitar, and High School Band and Choir. For the past two years, she has also taught elementary art. She loves getting to see her students grow up and in some cases, be their music teacher from kindergarten on up to 12th grade. She also enjoyed teaching her own two children, Hayley (15) and Quinn (14). Kit lives in Hanna with her two kids, two cats and a dog. She loves to travel, sing, read, and spend time with her amazing family! Position Statement: I would love to once again represent the Elementary Music Educators of Wyoming as Elementary Vice President. I have learned a lot from being on the Wyoming Music Educators Association board the past few years and feel that I can be a more active voice for elementary music education throughout the state. I can do this by selecting quality clinicians for the Wyoming Music Educators Conference, listening to your concerns, and then acting upon these concerns to ensure that your voice is heard. 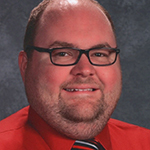 Bio: Michael Jaycox teaches K-5 general music in Powell, WY and Clark, WY. He previously taught K-5 general music and middle school choir, 6-12 band and 9-12 choir in Greybull, WY. He grew up in Laramie and graduated from Laramie High School in 2007. He then attended the University of Wyoming to pursue a degree in music education. During his time at UW, Michael was very active in the collegiate music education program. He held offices in the UW chapter of CMENC, now NAfME, as secretary and twice as president. As president, Michael was responsible for bringing in clinicians to present to the local chapter. Michael also organized a community program where UW students would go and perform at a local nursing home. In 2010, Michael received a certificate of achievement from The National Association for Music Education for his dedication to music education and leadership as president with CMENC. During his time as an undergraduate, Michael was a drum major with the Western Thunder Marching Band for four years, two of those years as head drum major. Michael graduated with his Bachelor’s in Music Education in 2012 and started the UW Summer Master’s program in the summer of 2013. Michael completed his Master’s in Music Education in August of 2015. In 2016, Michael was awarded the honor of Outstanding Young Music Educator for the North Big Horn Basin Music District. Michael Has completed Orff Levels I and II, and plans on finishing his Orff Certification in the summer of 2019. Michael is very active within the WMEA, having served as the In-Ovations Vice President for 2016-2018 and Elementary VP from 2018-2019. Position Statement: I would be honored to represent the Secondary Choral Music Educators of Wyoming as Choir Vice President. I am willing to learn more about choral music and the state of music education in Wyoming from being on the WMEA board. I can achieve this by selecting quality clinicians and conductors for the Wyoming Music Educators Conference, listening and learning from our members, hearing concerns, and then acting on these concerns. Bio: Anissa Bree teaches choral and general music in Cody at the Middle School, and received her Bachelor of Music Education from the University of Wyoming. While at UW she sang under the direction Carlyle Weiss in Collegiate Chorale, in the Opera Theatre and in the UW Jazz Choir. She also attended Northwest College singing with the Studio Singers, Choral Art and the NWC Chorale. She has since conducted the Master Chorale, a community choir, at Northwest College in Powell, Wyoming and has sung with the Cody Chorale (now the Cody Community Choir). 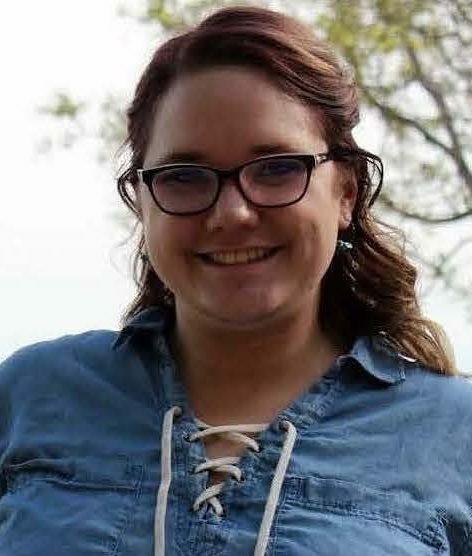 Anissa is also a member of the Wyoming American Choral Directors Association where she has served as the Youth Choir Repertoire and Resources chair for six years. Her duties included helping organize the Wyoming Children’s Honor Choir, reporting the state of youth choirs in Wyoming and giving input for choirs where needed. Her musical theater experience comes from Music Man, Beauty and the Beast, Mamma Mia and Guys and Dolls, as well as the Opera Don Pasquale and Opera Theatre in college. Music keeps her on her toes with performances in and around the Cody area. She keeps busy with her family of four and enjoys traveling to Colorado to visit family and friends. Position Statement: I am excited and looking for an opportunity to serve our organization in a larger capacity. As Choir VP, I feel that I could help continue a tradition of excellence with the All-State Choir, make valuable connections with choir directors around the state, and be a positive voice on the board. 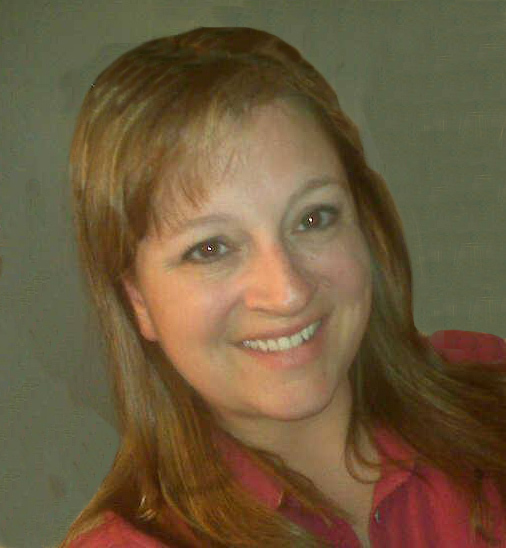 Bio: Leah Hoblit is currently the 6-12 choir teacher in Buffalo, Wyoming. She received her B.A. in Music Education from Concordia College in Moorhead, MN. She is currently pursuing her Masters of Music Education from the University of Wyoming. Before moving to Buffalo, Leah spent five years teaching in the Rock Springs and Green River area. She taught middle and high school choir, guitar, and music and video production. She also directed, co-directed, and accompanied a series of musicals including: Annie Jr., Seussical the Musical Jr., Grease, Beauty and the Beast, andSchool of Rock. Outside of school, Leah teaches private voice and piano lessons, sings with Skyline Singers, and serves as an adjudicator and clinician for districts across the state. In her free time, Leah likes to travel, read, and spend time with her family and spoiled dog, Buster. Position Statement: Wyoming music educators provide a quality All-State Music experience for their students. I would like the opportunity to serve as the WMEA Choral Vice-President to give back to this music community. In this position, I would strive to clearly communicate to both teachers and students, organize qualified audition recording screeners, coordinate and facilitate guest conductors, and provide an organized and high quality music experience each year for our All-State Choir participants. Bio: Katrina Rooney is in her twentieth year as a music educator and has been the Kelly Walsh High School Director of Choirs and Music Theory for eleven years. Prior to teaching in Wyoming she taught elementary music, choir at Hanford High School (Richland, Washington), choir and orchestra at Enterprise Middle School (West Richland, Washington), directed choirs and vocal jazz as a Graduate Teaching Assistant, and taught Music Education and Class Voice courses as an Associate Professor at Central Washington University (Ellensburg, Washington). She holds a Bachelor of Music Education, Master of Music degree in Conducting, and a Cognate in Music History, from Central Washington University. She studied conducting with Gary Weidenaar, Nikolas Kaoile, and Jazz Studies with Dave Cazier, Vijay Singh, and Chris Bruya. Katrina studied voice with Dr. Linda Marra and Dr. Diane Thueson-Reich. 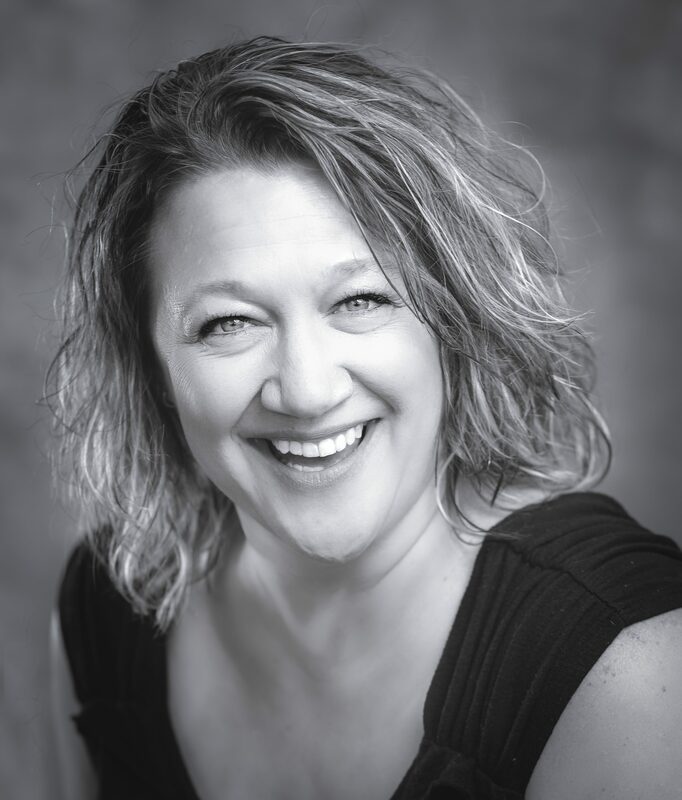 Katrina is a member of the National Association for Music Educators, Wyoming Music Educators Association, American Choral Directors Association, and Wyoming Jazz Educators. 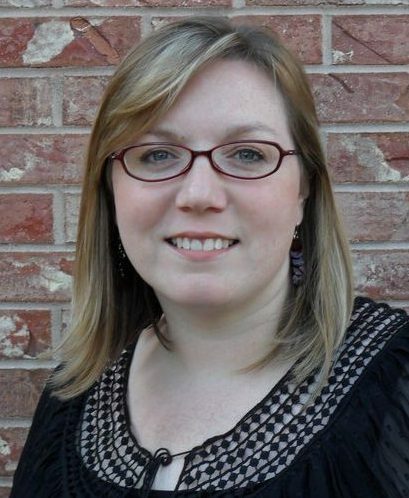 Katrina is a staff member and the Choir Director for the Wyoming Ambassadors of Music. While in college she served as Collegiate President on the Washington Music Educators Association Executive Board and served as the 2014-2016 Wyoming ACDA President. Position Statement: I am running for the office of Choir VP because first and foremost I would like to be more involved with WMEA and to serve the music educators of this state. For fifteen years, before I started teaching, I was a bookkeeper, office manager, and restaurant manager. I pride myself on my organizational skills and do not shy away from any task. I like to think that I am easy to get along with, and I love working with, and learning from a variety of educators across this state. Even though this is only my third year in Wyoming, I feel that I can bring some new ideas to the board and WMEA members from my experience in Colorado. Bio: Donna Solverud is in her third year as Director of Choral Activities at Laramie High School, and thirteenth year as a choral music educator. Her first career was in the restaurant business as a manager and bookkeeper. In 2002, she went back to school to get her music education degree and spent her first ten years teaching choir, musical theatre, drama, and coaching track and football at Boltz Middle School in Fort Collins, Colorado. At Laramie High School she directs six choirs and is currently department head and serves as secretary for the Southeast District. Originally from Pueblo, Colorado, Donna Received her Bachelor of Music Education degree as well as a Master’s Degree in Music Education with an emphasis in Conducting from Colorado State University. She is an active member of NafMe and ACDA and is eager to be more involved with WMEA to helpserve the Wyoming music educators. Position Statement: I am truly honored to have been nominated for the position of Orchestra Vice President. If elected, I will work hard to streamline and update the orchestra auditions, scales and excerpts and hire the best clinicians that our state can find. It is my intention to create a transparent and fair environment for the students of Wyoming high schools. They are my first priority. DePaolo is entering his fifth year as the director of the orchestra and guitar programs at Kelly Walsh High School in Casper Wyoming. His groups are currently joining Laramie High School and the String Academy of Wyoming to travel to and perform in Ireland. He is also an adjunct string instructor at Casper College and the principal violist of the Wyoming Symphony Orchestra. Both are positions that he has held for the last 17 years. 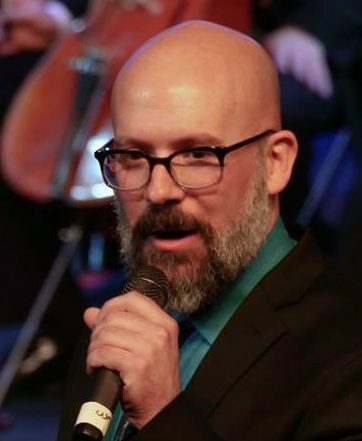 Mr. DePaolo is an avid composer having created underscores for Richard the 3rd, The Diviners, The Scarlet Letter, the Laramie project and various other works. Recently, Mr. DePaolo was a guest director for the Wyoming State String Clinic and judge for Colorado ASTA. In his free time he likes to hike, camp, ski, create music and spend time with his two children, Alexis and Evan and wife, Jennifer Cowell. Position Statement: I am excited for the opportunity to serve on the WMEA board as Orchestra Vice President! I will communicate with other WMEA board members as well as teachers in Wyoming. I believe the student is always first, and will do what is best for students with audition materials and hiring clinicians. Bio: Kelleen is in her seventeenth year of teaching music in Campbell County. She is in her second year teaching orchestra, guitar and piano at Sage Valley Junior High and Thunder Basin High School in Gillette, WY. She taught 5th-6th grade instrumental music for nine years and general music for the past six years. While earning her Bachelor’s in Music Education from the University of Wyoming she taught with the UW String Project. Kelleen teaches private lessons, performs in the Powder River Symphony and imports to the Fremont Symphony. In her free time Kelleen enjoys spending time in the mountains camping, fishing, hiking, skiing, and snowmobiling, watching her children’s activities, playing music, and spending time with family. Position Statement: I am running for the office of Orchestra Vice President because I have a strong working knowledge of all aspects of the All State Orchestra. I am organized, task-oriented, and will ensure that important information is clear, understandable, and distributed in a timely fashion. I believe that the Orchestra Vice President must have good communication with the other WMEA board members as well as the music teachers around the state. If I am elected, I will strive to learn from and communicate with my colleagues to ensure that all music students in Wyoming continue to have the best possible chance for success. 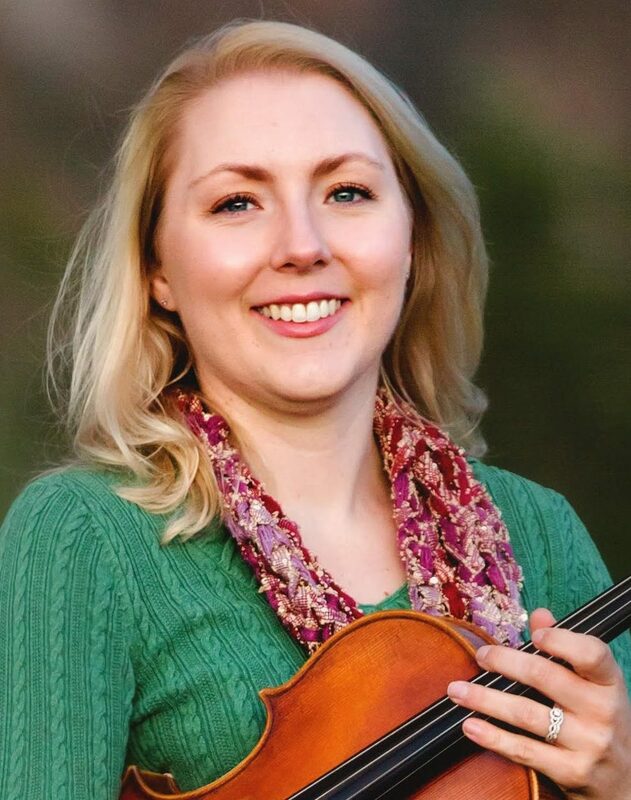 Bio: A native of Laramie, Wyoming, Sarah McCoy began studying the violin at the age of six under the instruction of Sherry Sinift in the String Academy of Wyoming. In 2015, Mrs. McCoy graduated from the University of Wyoming with a Master’s in Music Education and a Bachelor’s in Music Education in 2012. While at UW, Mrs. McCoy studied violin with Sherry Sinift and viola with James Przygocki. Mrs. McCoy has just completed her sixth year as director of orchestras at Laramie High School, the University of Wyoming Lab School, and Linford Elementary School. In addition, she teaches violin and viola at the String Academy of Wyoming and serves as the Associate Concertmaster with the Wyoming Symphony Orchestra. Mrs. McCoy was the recipient of the 2018 Wyoming Music Education Association’s Young Music Educator of the Year. In her spare time, she enjoys golfing and square dancing with her husband, Spencer and playing with their newfoundland, General and cat, Pickels. Position Statement: I would like to serve as Secretary for the Wyoming Music Education Association for another term, because I believe we should give back to the organizations to which we belong. I have served on the Board before, and found it to be a challenging yet rewarding experience. Music is my passion and I want to make sure it is a viable program in the public schools. Serving on the Board allows me to help make policies that further public education in our state. Bio: Leesa Kuhlmann is in her 37thyear of teaching in Sweetwater Co. SD #1. 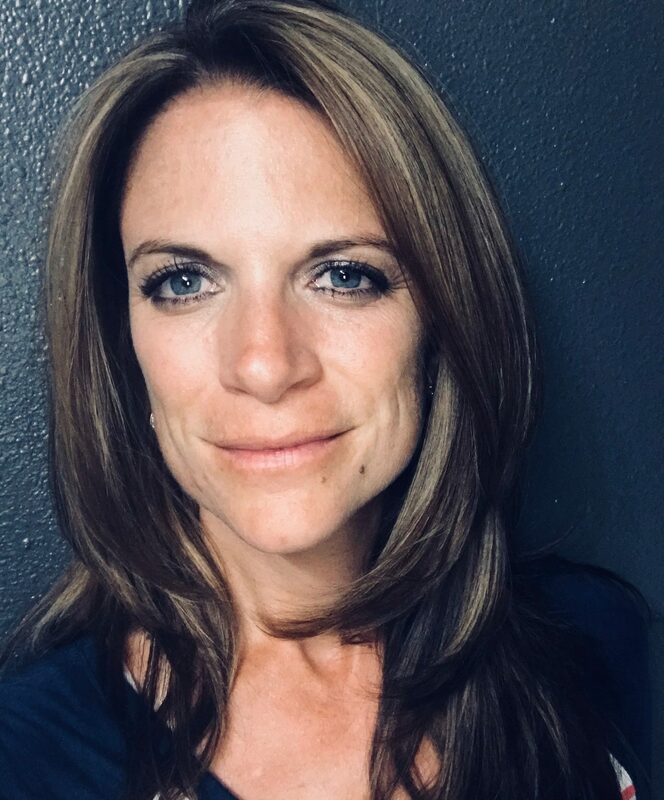 She has taught elementary and high school, and presently is the vocal music director at Rock Springs High School where she teaches 4 choirs, Music Appreciation, Beginning and Advanced Guitar, and AP Music Theory. Leesa received her Bachelors of Music degrees in both Music Education and Music Theory and Composition at the University of Wyoming in Laramie as well as a Masters of Music in Music Education from UW. She also holds certifications in Orff-Schulwerk and Kodaly pedagogies. 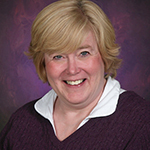 A founding member of Wyoming Jazz Educators, Leesa has served as their treasurer for the past 7 years. She also has served on the Board of Directors for the Wyoming Music Education Association as Secondary VP, In-Ovations VP, and Secretary. 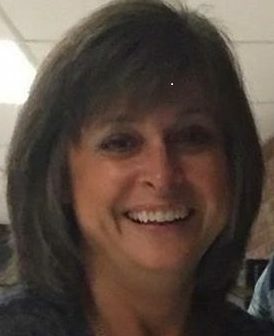 Leesa is a member of the National Education Association, Wyoming Education Association, and Sweetwater Education Association, serving as an officer at both the state and local levels throughout her teaching career. Position Statement: I would like to continue the great work of past secretaries and serve the WMEA in a different capacity. I’m very passionate about the work we do for the children of the state and want to serve our organization to further that work. I’ve been on the WMEA Board for the past five and a half years and am very familiar with the work involved in this position and am very excited at the prospect to serve in this capacity. 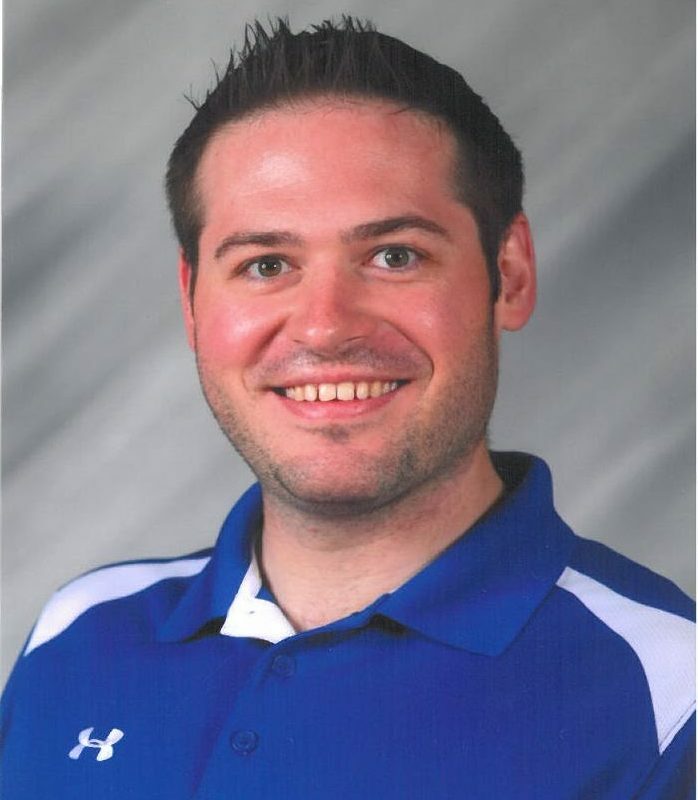 Bio: Andrew Salzman is in his sixth year of teaching music for Carbon County School District #1, currently the Director of Bands at Rawlins High School, he previously held positions as Director of Bands at Rawlins Middle School, and music specialist at Rawlins Elementary School. He is a 2013 graduate of the University of Wyoming with a Bachelor of Music degree in Music Education. In addition to being a member of NAfME and WMEA, currently serving as Music in Our Schools Month Chair and President of the South Big Horn Music District, he is also a member of the NEA and WEA, currently serving as President of the Carbon One Educator’s Association. Andrew is active in his community through his involvement with the Rawlins Elks Lodge #609 and their many community service activities and also serving as Esteemed Lecturing Knight. Position Statement: I am interested in serving as secretary on the Wyoming Music Educators Association board. I believe that my passion for music in Wyoming and experience as secretary for the Northeast District and Wyoming Jazz Educators will serve as a good foundation for this position. Bio: Faustyna Staebler currently teaches 6th-8th grade bands at Clear Creek Middle School and kindergarten general music in Buffalo. She also teaches adaptive music for students with special needs. Tyna has recently started a middle school jazz band and is the assistant director for the Buffalo High School Marching Bison. She graduated from the University of Wyoming in 2011 with a Bachelor of Music Education and is pursuing her master’s degree through UW in music education. Previous teaching assignments include 6-12 choir in Buffalo, 6-12 band, choir, and guitar in Big Horn and elementary general music in Weld Re-8 schools in Colorado. Tyna is the secretary for the Northeast District and the Wyoming Jazz Educators. She currently holds an appointed position on the WMEA board as Membership Chair. 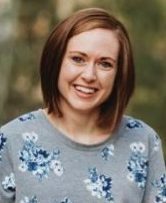 She is the recipient of the 2019 Wyoming Music Educators Young Educator of the Year award. When not recruiting students to join middle school band, Tyna enjoys running, doing CrossFit and being in the Big Horns.